Yes the infamous GBA4iOS update is STILL not released! It is expected to come out before Christmas, but Riley Testut (@rileytestut) is working very hard. So fear not, GBA4iOS will be out soon! Remember, Follow him on Twitter to get updates! Once again, the date is still unknown. Once released, it can't be updated, so Riley Testut is adding all the little bits and pieces to make it work. The site has gone through many new and exciting changes! I have changed the iOS and OS X tab that was previously "iOS/OS X Betas" to iOS/OS X. I have included overviews of the operating systems and updated the front page. The home page now consists of a Youtube video, which I know it is crappy, it was simply a test. It also includes a "Trending Now" section. UPDATE: I made a newer video to replace the crappy one! I updated some fonts throughout the website, while also changing the Mavericks banner slightly. Also, for those who want to know, I have made a Christmas banner and a Christmas logo for the website which will be up soon. There are also other Christmas improvements but they are kept secret for now. GBA4iOS is now on SimplyApple! Go to Downloads>GBA4iOS to download! For those of you that don't know what GBA4iOS is, you will soon find out. It is a 100% FREE Gameboy Advance/ Gameboy Color emulator for iOS WITHOUT jailbreak! 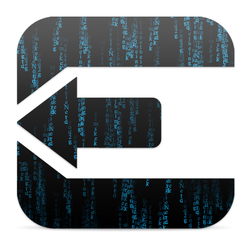 Now, for most people, that "without jailbreak" part doesn't matter, but to those who want to know, the only way we used to get any emulators for iOS was with jailbreak, and now we don't need one! This FREE download will defiantly suit your GBA cravings. It runs very smooth. (and yes- Pokemon is available) . 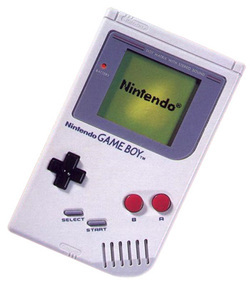 It also can play Gameboy color games, nut doesn't let you save the save file. This feature is upcoming in GBA4iOS 2.0. Click below to be directed to out GBA4iOS download page! 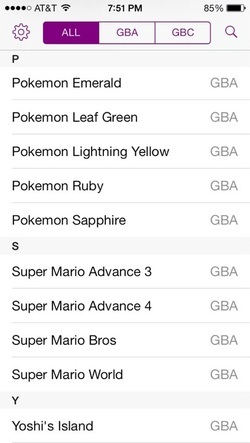 Stay tuned for the GBA4iOS 2.0 release! The thinner and lighter iPad Air is finally here! As of now I cannot get my hands on it but I will put a few GREAT reviews below. But we still don't know the release date of the long awaited for iPad mini with Retina Display. I have a basic guide to buying below. 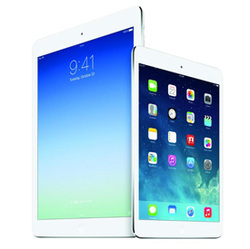 This guide is to buying a full size iPad Air. An iPad mini guide is sure to come soon! I would suggest to watch videos and go with your gut. If you want one right now and cant wait, sure, get this model. If you can hold off and get a cheap Android tablet and wait for the next iPad that will include a fingerprint sensor, hold off. I would suggest skipping this model. The next iPad Air 2 update will be worthy for you. REMEMBER, your iPad is STILL ON THE MARKET!!! Congrats, you may even be able to get iOS 8! Basically you have no HD display, which doesn't really matter, a slower device, and a worse camera. Thats it. I would suggest to DEFINITELY HOLD BACK! These iPads are perfectly fine. They have the same screen, same camera, but are a tad bit slower. Don't upgrade, wait. Sure, this tablet is fine if you want bigger. If you don't want bigger, the iPad mini 2 is a GREAT product. I would suggest buying either from your original mini. If you choose to hold on to it, defiantly get the iPad mini 3. The iOS 6 Jailbreak has been posted!